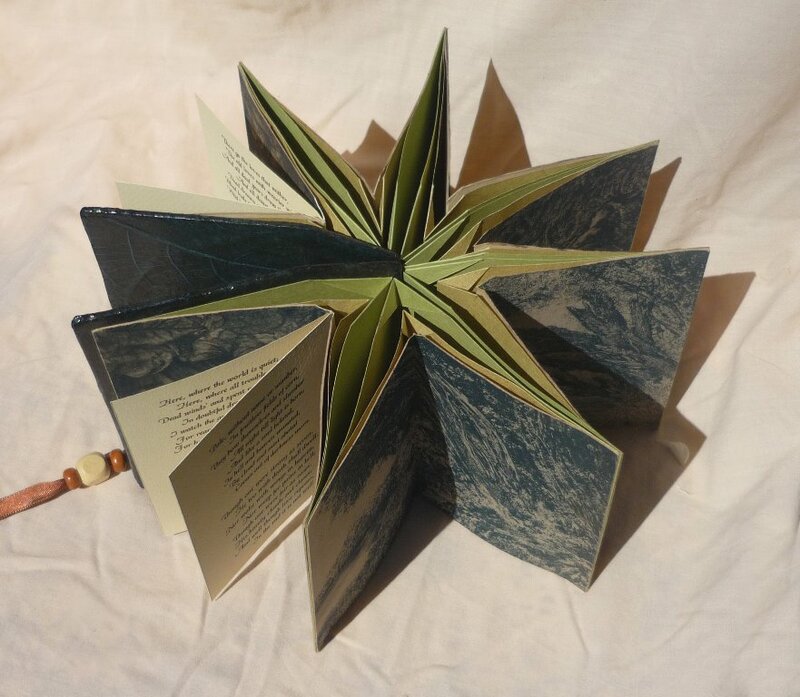 book open to see the star shape and various folding. images :modern cliché-verre using personal intaglio image then handmade printed with Cyanotype process. 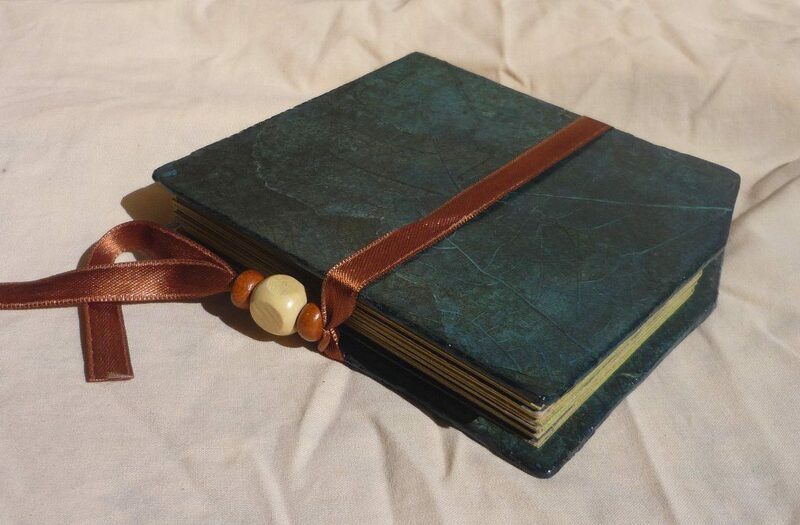 Book technique: cover material :natural leaves processed with colored dye. 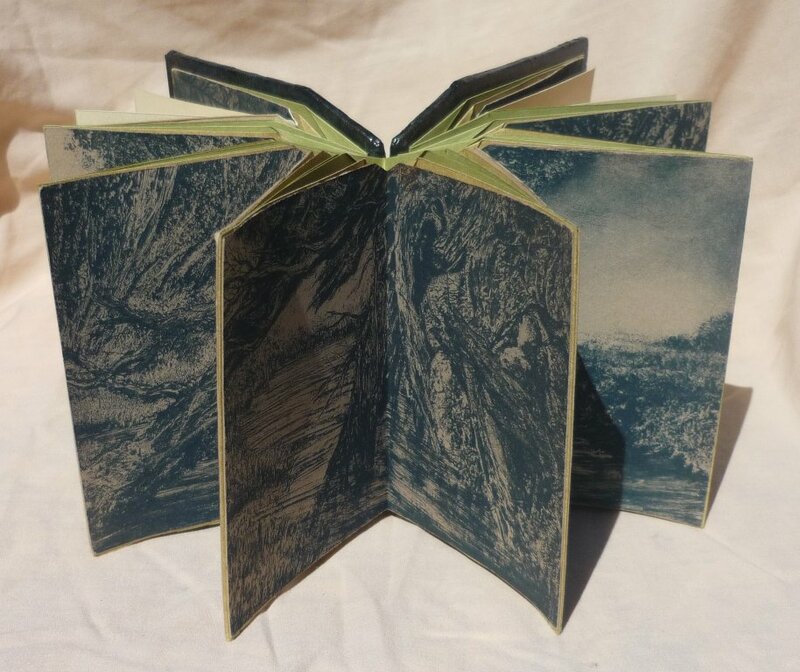 I like to make books that could open like” table sculptures”, as artist book i want it to keep it identity as a “book”, so with a title page ,text and colophon, and it is my challenge to include all of them inside the volume of the book. 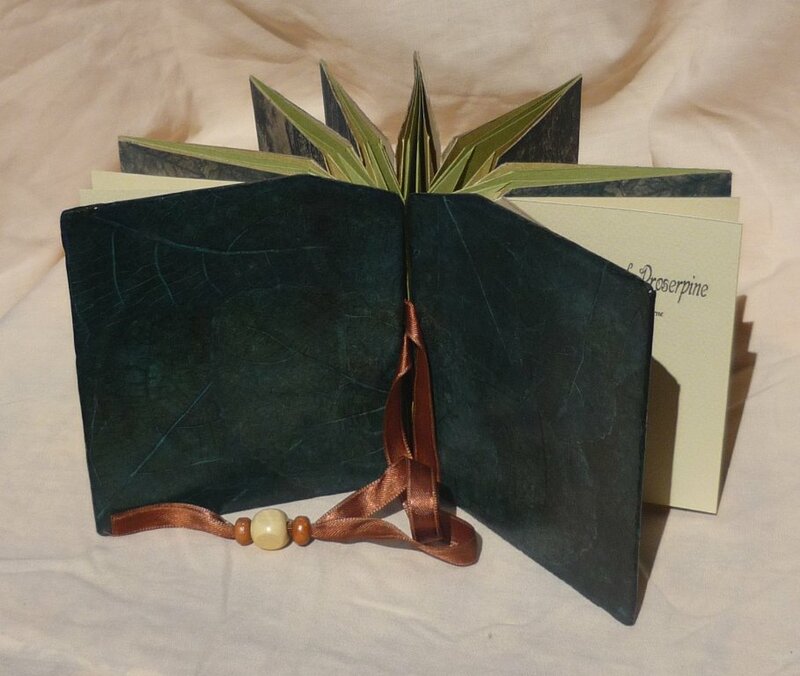 the book’s cover is a made by processing fig tree leaves, and work them so they could become as skin for my book, the choice to dye them in blue night color ,should recall the impression to see all the leaves through the water on the ground inside a pound. 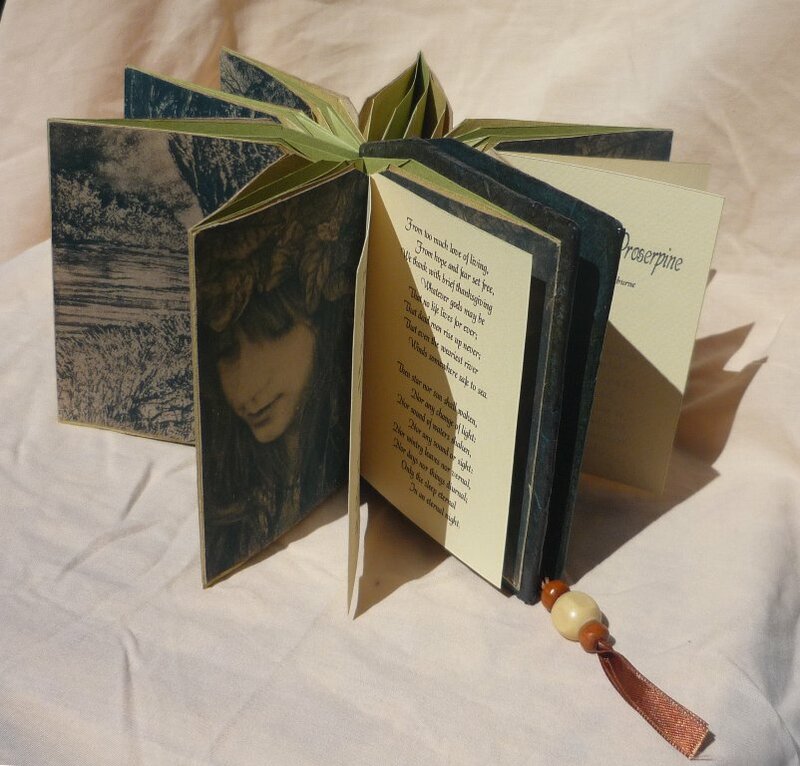 The choice for a natural leaves supplies is to be in relation with my landscape etching turn to cyanotype prints , turn to sepia with help of tea to cut down the blue ,as i want all these images to be ghosty ,from an other time and the Swinburne ‘s text. All these lanscapes are placed in sequency, so when watcher turn around the book, it becomes like walking inside them.